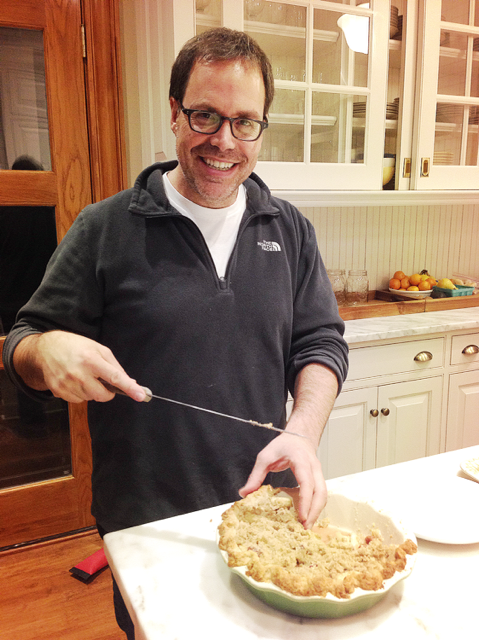 Served: Chef Douglas Katz – Fix. Serve. There is no way to predict what moments might influence the trajectory of someone’s life. We interact with people day in and day out, but rarely stop to consider that some of these interactions might actually live on as an important memory for someone. I experienced that moment 11 years ago when I had to pick up the phone and call Doug Katz. I had just transitioned from a job as a health educator to a fundraiser at the small non-profit I worked for. The role seemed noble in theory, but in practice, it was a whole different thing. I was in charge of coordinating an art auction for their annual fundraiser and with that came my very first task – ask Doug Katz, chef and owner of Cleveland’s popular Fire Food & Drink, for a donation to the event. Not knowing how these requests generally went down, I picked up the phone and called the restaurant hoping with all my might that I would get a friendly manager or even better, voice mail. But no, I got Doug Katz. I don’t remember exactly how the call transpired, but I do remember this – he said yes. Yes! His yes to a donation of food to the event was so much more, though. That answer was a confidence-boosting yes for that newly minted fundraiser on the other end of the phone. Yes, I did not make a mistake by taking this job. Yes, asking wasn’t as bad as I thought. Yes, people out there cared about this mission. Being new on the scene to fundraising, I assumed restaurants probably donated their left overs and made you come to the back door to pick up a foil tin of random food. Not Doug. He showed up to the event and hand designed a spread of the most beautiful food. I remember standing there watching him precisely arrange the items and take such care to make the display look beautiful. It mattered to him, and it made me feel like our organization mattered. In the years since, I’ve admired Doug from afar as he’s taken the Cleveland food scene by storm. He grew from one signature restaurant, Fire, to now Provenance at the Cleveland Museum of Art and the Katz Club Diner. If you are on Facebook with me, you will know that I profess my love of Katz Club several times a week. Ever have that restaurant that is your soul food match? That is Katz Club for me. 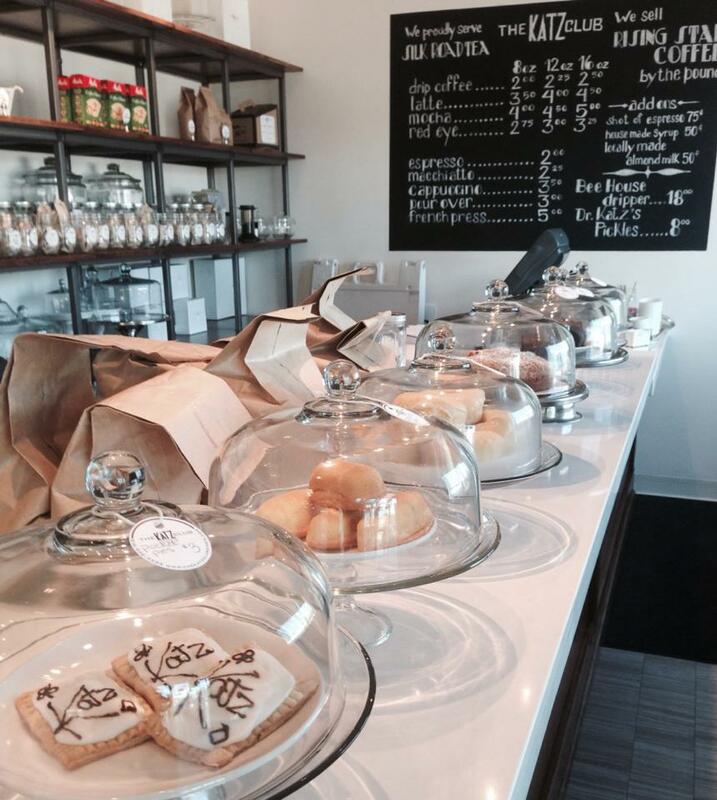 The concept nails all of my passions – locally sourced food, local coffee, baked goods from scratch (even the English muffins! ), and an atmosphere that makes you feel that you are dining among neighbors. It was my on-the-way-to-work ritual until one day in early October 2014 when I couldn’t access the street and found that there had been a fire that destroyed much of the diner. I was heartsick – for Doug, for his family, for the employees and for the dining community that he was beginning to build in that neighborhood. I’ve been quietly waiting to be first in line when word comes that the diner is ready to re-open. I have a strong attachment to the people and places that feed me. The role of food in our lives provides not only nourishment for ourselves, but can cultivate relationships and community if you allow it to. I’ve been such a fan of Doug’s food philosophy because he keeps those who provide the food central to all that he does. Doug is a fierce advocate for farmers and you will not only see that manifested in the food he serves, but also in where he spends his time. It’s not unusual to spot him at various farmer’s markets around the region supporting the local food scene. To me, this is the cycle of gratitude to those who provide for you. When I asked him who he would fix food for if he could, Doug said that he dreams of bringing local growers and farmers together to cook for them. And I have been wanting to thank Doug for all he and his restaurants have provided for me over the years. And in typical Doug fashion, my offering of thanks gave me more than I bargained for and ended up with our families spending a Sunday evening together sharing food and friendship that was provided by all. Doug continues to enrich the community in lots of different ways. I work for Youth Opportunities Unlimited, a nonprofit that supports pathways from poverty for Cleveland teens through employment and educational programs. When I needed to find a internship placement for a high school Culinary Arts student, Doug didn’t hesitate to find a spot for her in the kitchen at fire food and drink. These kinds of experiences can be life-changing for students in Cleveland public schools and we need the support of folks who care about the next generation to provide them. Thanks, Doug, for all you do!